Just ME: make a wish. My newest stamping crush is Avery Elle. 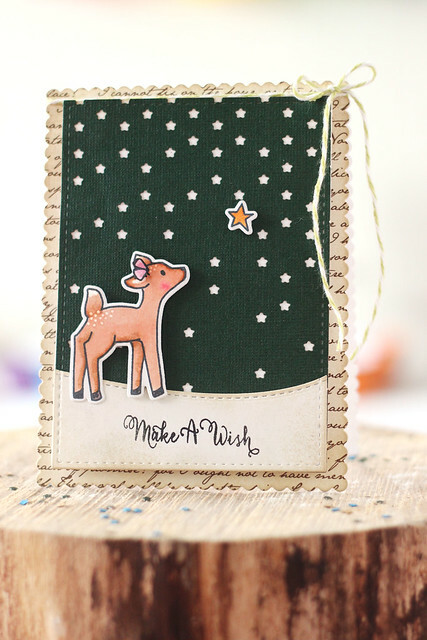 I stamped the deer, and made it a bit more girly with a little pink butterfly-turned-bow. 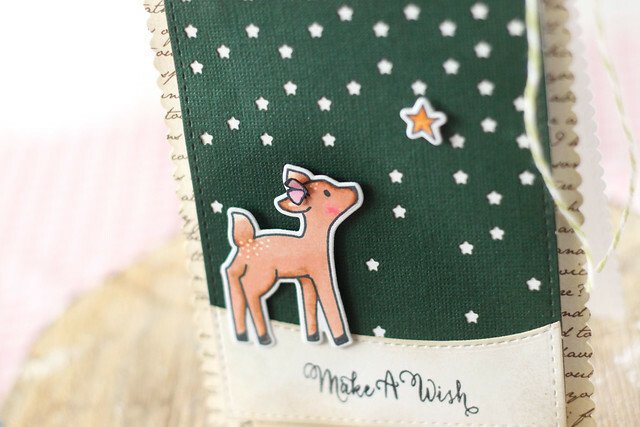 The deer is gazing up into the night sky and wishing on a sparkly star. It's so hard to see in the photos, but I added some glitter with my wink of Stella glitter pen, on both the deer and the yellow star. This is darling,love your design! That is so cute! You really know how to make stamps shine. I think my new favorite stamping crush is Mama Elephant. My wallet is in trouble haha! Love it! Love the background as well, is that a stamp or a stencil? Thanks for sharing! Just another 30-something mom of 3 little ones, wanting to celebrate the sweet moments and create something special of my life.